After winning the first state championship in program history in November, the Kennedy High School football program is beginning to reap the rewards. Senior teammates Nick Suing and Rocco Carley announced their commitment to play for the Oregon State Beavers this fall, giving the Beavers a pair of offensive players who played key roles in the Trojans' 31-20 victory over the Santiam Wolverines to win the 2018 2A State Championship. "We obviously have some good football players coming through," Kennedy head coach Joe Panuke said. "If you win a state championship and you get the all-state accolades, people recognize that you've got some good football players here." Suing and Carley are the second and third Trojans to make a Division 1 commitment, along with former teammate Bishop Mitchell, who signed with the Portland State Vikings in 2017. 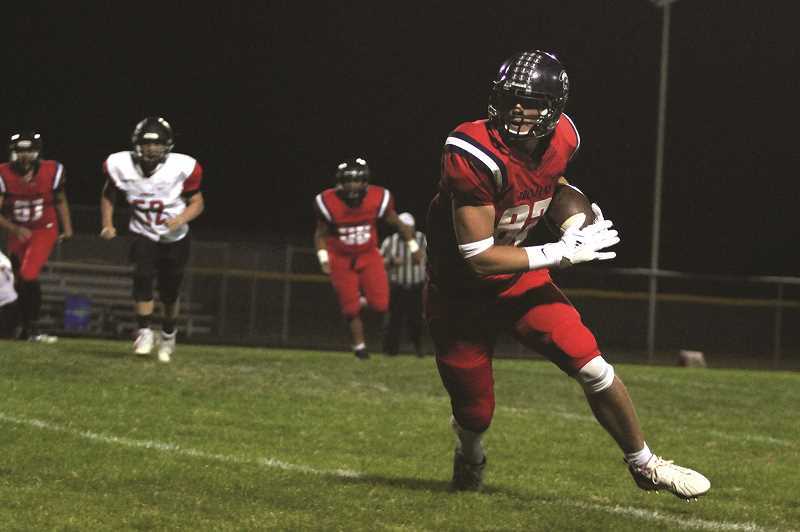 The two played with Mitchell their freshman year during the 2016 season in which the Trojans finished runner-up to the state champions from Heppner, and Suing reached out to prior to making his commitment to get an idea of what the D1 experience would entail. "I talked with Bishop to get the ins and outs of what D1 is like, the schedule, the lifting, the practices — just get a feel for the commitment level that's involved with playing a D1 sport," Suing said. "He was really encouraging, and he's enjoyed his team. He's definitely been pushed hard and he's enjoyed that." Suing played center on offense during that freshman year season before moving outside to tackle where he helped pave the road for the Trojans' offense over the past four years. 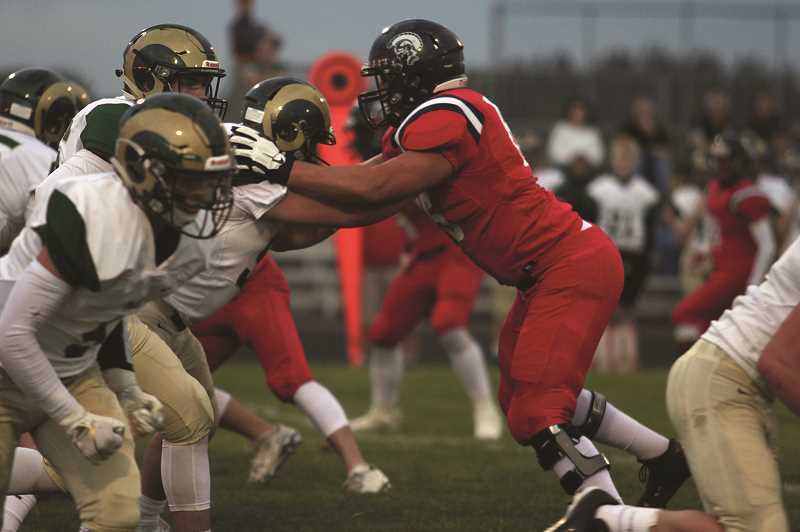 On defense, his 6-foot-3, 265-pound frame gave Kennedy one of the biggest and strongest players at the 2A level, an immovable rock on the line that could wreak havoc on opposing offenses. "He's got great feet and great footwork, and he does it all the right way," Panuke said. "As an offensive lineman, if you need to get some yards, you're going to go right behind him, because he's going to be bigger and stronger than the guy across from him. "On the defensive line he's going to get a push for you. Good penetration and for a big kid, he moves really well. He's able to get down the line and make some plays." Carley's high school path began with Suing in Mount Angel before taking a brief detour to nearby Silverton High School his sophomore year. Carley returned in 2017, playing his final two seasons at tight end on offense in a Trojan uniform, while shoring up the team's secondary on defense. Together, the pair played an integral role in bringing the 2018 2A State Championship to Mount Angel. Suing helped plow the road for a running offense that gained 232 yards and scored three touchdowns, while Carley hauled in two passes for 73 yards, including a 45-yard touchdown bomb from teammate Emorej Lynk. Lynk ended up being named Player of the Game despite missing the second half due to a knee injury, forcing Suing, Carley and the rest of the Trojan defense to hold off Santiam's late-game rally. "At halftime we were feeling pretty good about it. It was definitely tough with Emorej's injury, but we knew we had to come out in the second half and continue playing defense and try to score on offense even though our main offensive threat was out of the game," Suing said. After the conclusion of the season, came the accolades. Suing was named to the 2A All-State team for the second time, earning 2A Lineman of the Year honors, while Carley was named to the Tri-River Conference All-League roster for the second consecutive year. Together, the two seemed destined to continue playing together in some fashion. Both Carley and Suing were courted to play in Monmouth for the Western Oregon Wolves, but they each turned down scholarship offers in favor of joining the Beavers as preferred walk-ons, meaning they are assured a spot on the team next year but were not offered a scholarship. "My plan was to play somewhere in Oregon. I didn't know quite where, but I'm really excited to give it a shot and take on the challenge," Suing said. "It was a very difficult decision. There was definitely a lot of thinking and reflecting on what I thought fit me the best. 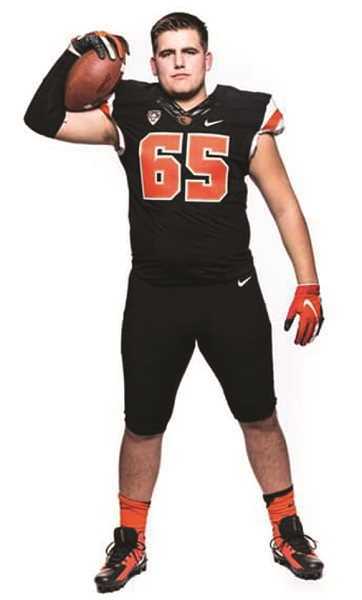 I really wanted to take the opportunity that Oregon State was giving me. It would have been hard to pass up." The pair join an Oregon State football program that has struggled recently, going 3-21 over the past two years combined with their last winning season coming in 2012. They are set to join the summer workout program for incoming freshman, but until then, Suing and Carley are focused on more the more immediate goal of winning another state title, this time for the boys basketball team. And much like the football program, this team once again appears to be peaking at the right time, winning a season-best six straight games going into the final week of the regular season.